We take immense pride in our craft, and genuinely care for each of our homeowners—that’s why we aim to create new home designs that are not only on the forefront of innovation, but are inspired by real, everyday life. We want your Shea home to feel special and welcoming, no matter the unique lifestyle you lead. 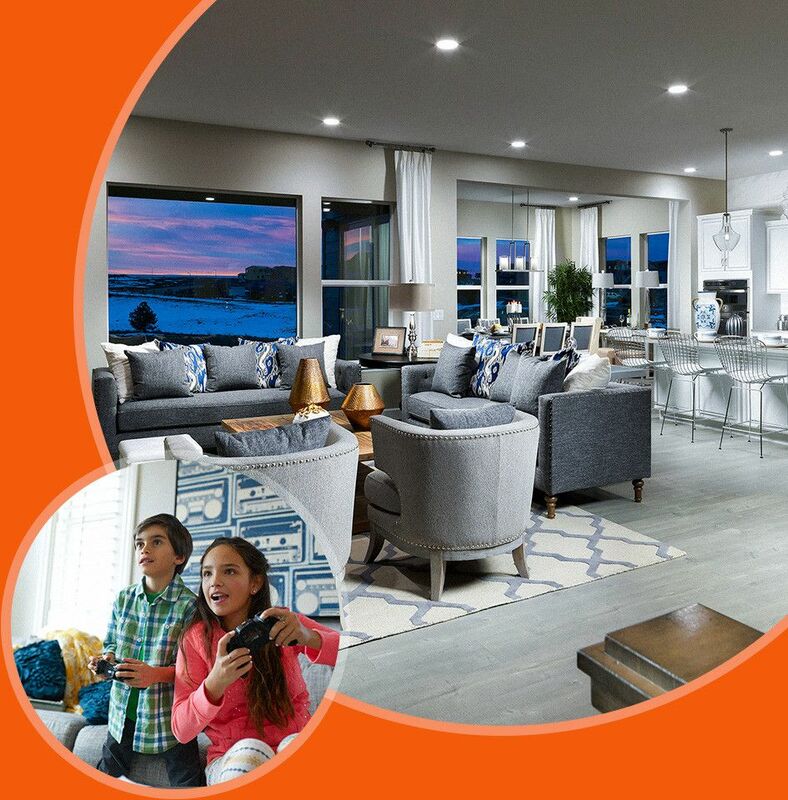 That’s why with our Shea3D® feature, one of our innovations in new home design, you get to choose your own floor plan option, tailored to your personal tastes. 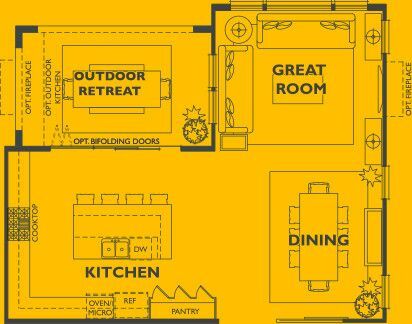 So whether your life revolves around the kitchen counter, the entertainment center, or even the great outdoors, we’ll build you the house that immediately feels like home. 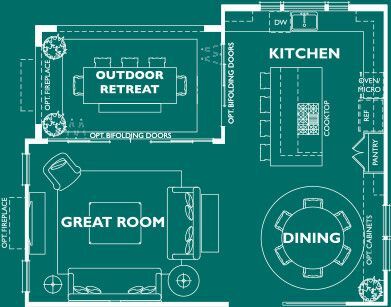 The outdoor-centric floor plan brings you an overflow of natural light, and with the airy, open layout, you can transition from your indoor to outdoor living space with ease. The entertainment-centric floor plan features an open concept space large enough for your dream media center, and is ideal for every big get-together or relaxing night-in. 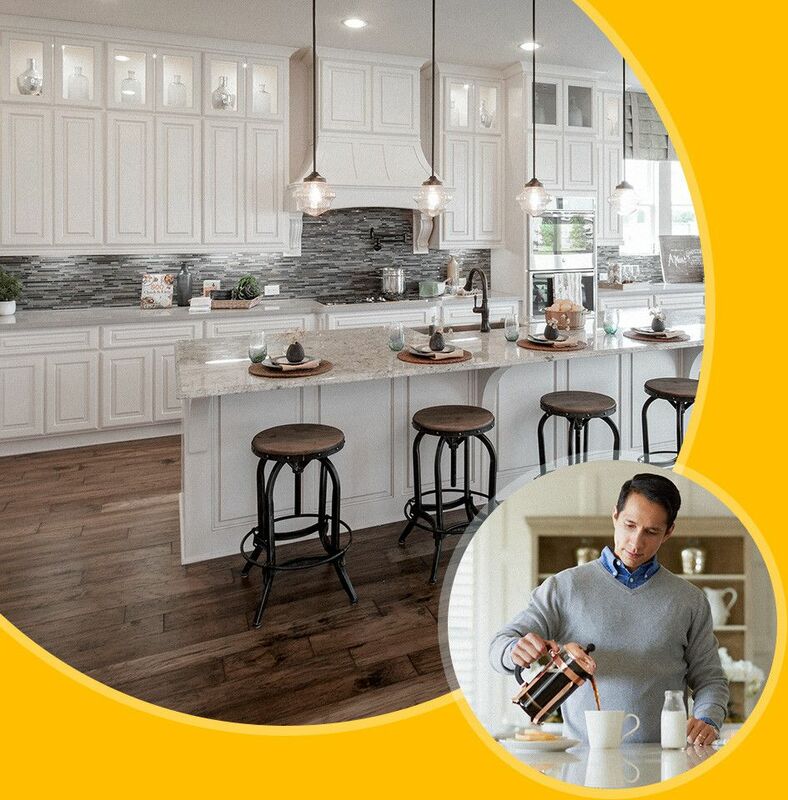 The kitchen-centric floor plan was designed in collaboration with professional chefs, putting your passion for cooking and large meal gatherings at the heart of your home. 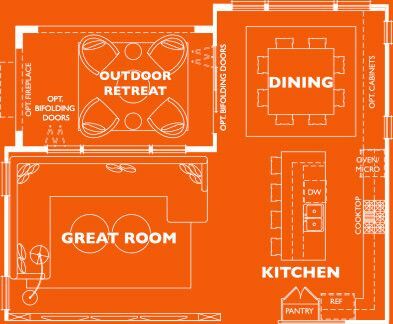 *Floor plans and renderings are artist's conception based on preliminary information, not to scale and subject to change. Shea3D floor plan configurations shown may not be available at all communities. A SheaXero Home™ is intended to be able to produce, on average, as much electricity as it consumes on an annual basis. SheaXero is available at Shea Homes Active Lifestyle communities only. SheaSolar is available at Shea Homes Active Lifestyle communities only.